Kollywood superstar Rajinikanth and Vijay fans are shocked and saddened over the sudden death of Tamil filmmaker J Mahendran and they paid tribute to him by sharing his rare and unseen pictures with their favourite heroes. 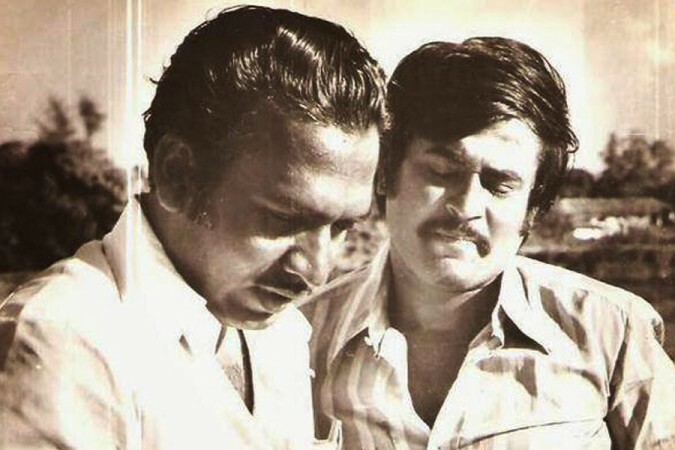 Kollywood director J Mahendran's sudden death has shocked and saddened the Tamil film goers especially fans of superstar Rajinikanth and Vijay, who are busy circulating his rare and unseen pictures. J Mahendran was a welknown filmmaker, screenwriter and actor in the Tamil film industry. He started his career scriptwriter for the classics like Naam Moovar (1966) and he went on to become a director with Thangapadhakkam (1974). He also became actor with Kamarajand and he played villain in Vijay's Theri. He was seen in Rajinikanth's Petta and Atharvaa's Boomerang earlier this year. Mahendran had been critically ill for the past few days and was undergoing treatment at Apollo Hospital in Chennai. But was taken home on Monday night and he passed away at his residence in early on April 2. The 79-year-old director's mortal remains will be kept for public darshan from 10.00 am and his last rites will be performed at 5.00 pm on Tuesday. Mahendran is regarded as one of the greatest film makers of Tamil cinema and has influenced several filmmakers of the generations followed. The news about his sudden demise to many film goers, who took to Twitter mourn his death and offer condolences. Besides, some fans of Rajinikanth and Vijay paid tributes J Mahendran, by sharing the veteran filmmaker's rare and unseen pictures with their favourite heroes. Scroll down to see their comments and photos shared on Twitter. Director of classics like "Mullum Malarum" and a good friend of #Superstar @rajinikanth , Thiru Mahendran passed away this morning . He was hospitalized few days back due to age related ailments and was in critical condition. May his soul RIP #RIPMahendran sir. U r the one fav director of our thalaivar and his fans too mine also.. thank u sir give such classic Wonders..